The library uses a system which allows tutors to create lists of reading resources which simultaneously inform the students what they should be reading and the library of what books and articles they need to purchase. 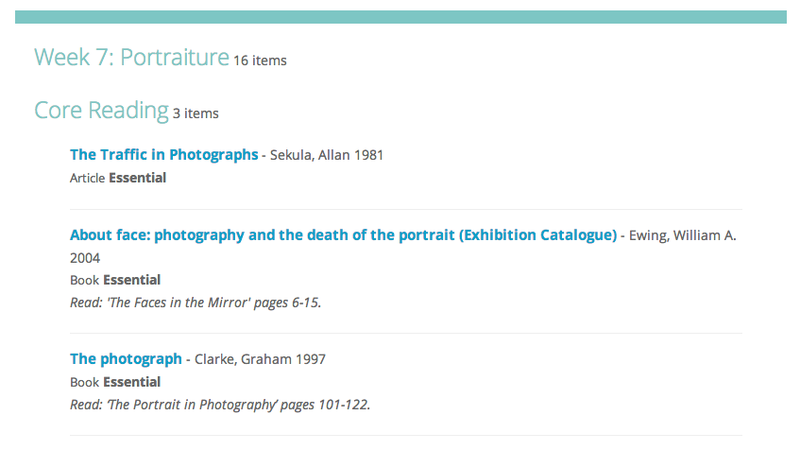 The system is called Talis Aspire and is a market leader in UK University libraries. The system allows flexibility in the tutors’ organisation of the lists. For example they can categorise readings as weeks, topics, core, and/or further reading. The problem with the system is that the lists do not exist where students expect to find them, or where tutors regularly visit when thinking about their teaching. We therefore wanted to integrate the system with our Moodle install and came up with a smart solution. We added an easy-to-use reading list mod to the Moodle resource options. If a tutor chose to add a reading list it would map to reading lists for that course in Aspire. It would not just be a link to the list either – it would be the entire thing nested within the Moodle course page. Furthermore sections of the reading list can be specified and dropped into Moodle sections as appropriate. 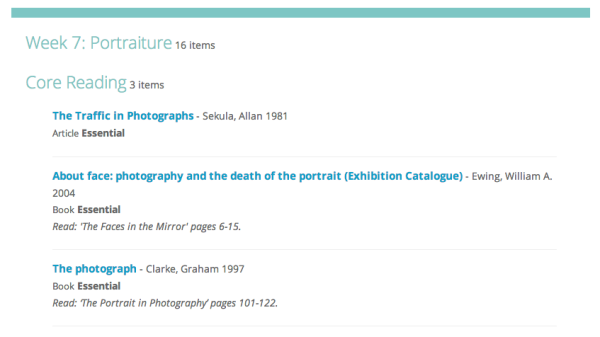 The reading list is displayed to the student in an accordion which opens when clicked on. The following video explains the process of adding a reading list to a Moodle course. As always we welcome any comments on this development. Could you tell me what version of moodle your plugin is designed for? Also where might it be downloaded or contributed to? This integration looks like a huge improvement on the clunky and intrusive interface provided by Talis, and avoids students being disorientated by popping out of their customary learning environment into a whole different system, whilst still retaining the useful functionality of Talis behind the scenes to provide a simple centralised workflow for properly referenced resource lists, copyright management for digital resources etc. Also, is the integration based on a solid API provided by Talis? When investigating this before I recall that Talis were not providing data at a sufficent granularity and so a prototype created by Sussex had to fall back to some web scraping. Just picking up on your last point. We’re using the same method as you describe (‘screen scraping’ or ‘an api using the highly mature http protocol using the industry standard html language’ – depending on how you want to portray it). Not ideal, but does deliver, like you say, what students have been asking for. Talis have a strand of work next year on Integration which i hope will see developments in this area. This integration looks really neat and I agree that it definitely removes the disorientation caused by students being taken out of Moodle to Talis for their reading lists. I was also wondering what version of moodle your plugin is designed for and where it can be download or contributed to? So are you using this method in a production site? If so are you at all nervous about it breaking if Talis change the design (HTML) for their lists? By the way, don’t think I was notified (email) of activity on this comment thread, only found response when returned to page for reference. Sorry for the delay in getting back to you. Yes we have version 3.0 install of Moodle, based on 1.9 without the mess of Moodle 2.0. (Sorry joke). Tom has located the code – please use adapt and fork as required. Tom, we do use this for our production site and we are not overly concerned that Talis will change their html markup as they give plenty of warning for this type of thing. Furthermore they are aware of our solution to Moodle integration and will hopefully be working with us to provide a robust solution. Thanks Paolo, looking forward to seeing what comes from this. The moodle 2.4 fork has not yet been tested in a live site, but seems to work ok in local testing.